We give you some top tips for a busy time of the season for dynasty commissioners. 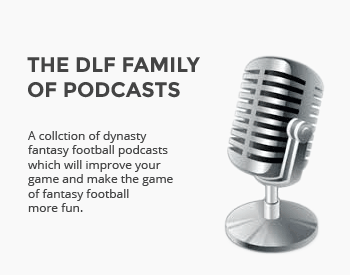 While fantasy team owners everywhere are sitting back and enjoying the NFL playoffs free from the weekly grind of waivers and lineup setting, dynasty commissioners are working hard to get their leagues in shape and set up for 2019. There are team owners to replace, dispersals to run, and payouts to be made. Needless to say, it’s one of the busiest times of the year for league commissioners. As I was working through my leagues and getting everything set up for the off-season events, I began thinking about things that dynasty players everywhere could and should be doing to make life a little bit easier on the people who keep their leagues running smoothly year-round. Creator and Co-host of Dynasty Game night, the fantasy football game show. Creator and host of the Zookeeper Stories podcast. Agreed and agreed. It’s so early though, understandable that DLF would take the prospect by prospect feature article approach for now. The early look write-ups are great primers to tide us over, looking forward to ramped up coverage as senior bowl, Combine, and April draft all come down the pike. TL, our Rookie Rankings went live today. Just look under the Rankings menu item. Tons more to come on that front… it is still just January and we just passed the declaration deadline. Thanks! Thanks for the piece, Matt.